Fancy a real Superstar Recording Experience? 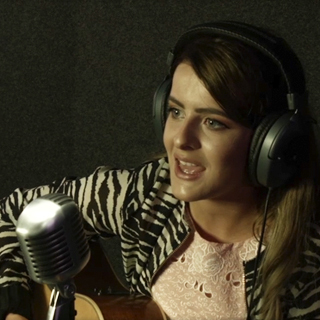 Wanna record your favourite 2 songs in one of Dublin's best recording studios? How about we mix it all together professionally so it sounds awesome? Then, you can share the results with family, friends or the world! It could be your first step on the path to stardom! The Superstar Recording Experience package includes – your choice of 2 song to record; professional sound engineer to ensure your performance shines; edit, mix and master your best takes to produce a professional standard recording. You get printed cd copies of your own unique performance. At the Sing Factory recording studio in Merrion Street Dublin 2, our mission is simple - to make you sound great. Our professional sound studio and experienced sound engineers will make sure you relax and record a superstar song! Advance booking required on AllGifts.ie. At Sing Factory, our mission is simple. To make you sound great. Our professional sound studio and experienced sound engineers will make sure you relax and record a superstar song! Everything we do is focussed around capturing that magical moment where your singing is at its peak. We use highly experienced studio engineers and producers and our studios are custom built for vocal recording. All in all, it's the perfect package designed to make your voice shine. Arrive on the day to record with professional sound engineers. You'll get expert direction to ensure your performance sounds as good as possible. We will edit together your best takes and mix and master a professional standard recording. You get printed cd copies of your own unique performance and a much sought after Sing Factory Certificate. How it Works: Use this gift voucher on AllGifts.ie to make a booking with Sing-Factory. Or you can swap this voucher for any other gift or voucher listed on AllGifts.ie. Simply follow the instructions at the bottom of your voucher.